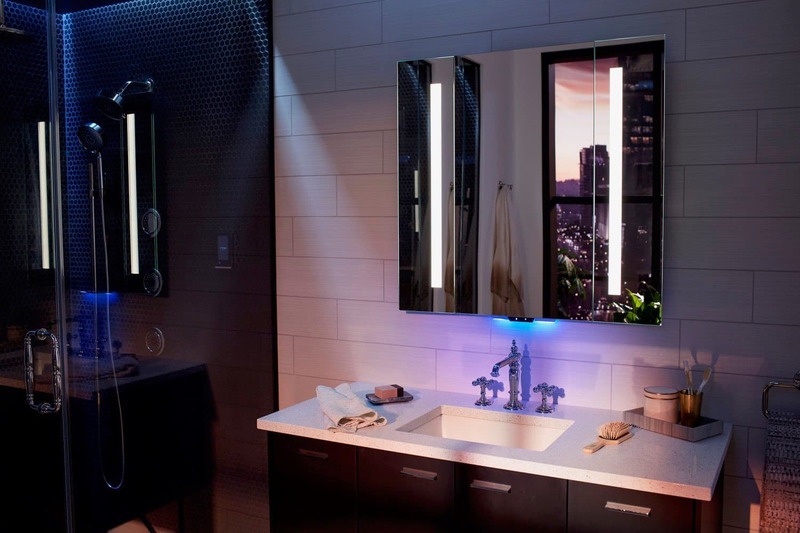 Wisconsin-based company Kohler created waves last year when it made its CES debut with a smart shower, smart mirror and tub all connected to the technologically-advanced home via the Kohler Konnect app. The trend isn’t dying down but instead, seems to be reigning even more at CES this year, boasting a showcase of new products that aim to bring smart touches to your bathroom. Sure, digital showers and smart bathroom systems have been around for a while, but 2019 might just be the year the smart bathroom trend goes mainstream. Kohler stole the show (yet again) at CES 2019 this year with an all-improved intelligent toilet with built-in surround sound speakers, ambient mood lighting, and Amazon Alexa voice controls. You wouldn’t think you’d need a toilet that could talk — until now, that is. Enter, the US$7,000 (S$9,470) Numi 2.0 Intelligent Toilet. 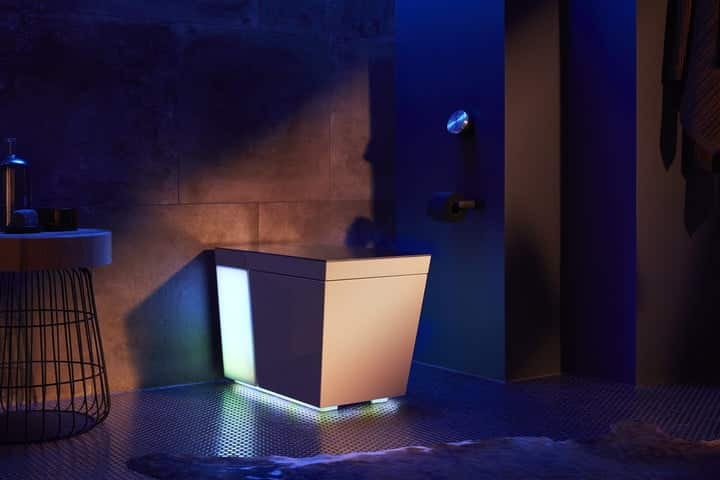 The smart toilet plays music, offers completely customisable ambient lighting, has heated seating, and is voice activated; thanks to its built-in Amazon Alexa. Japanese manufacturer Toto sees potential in the unconventional idea, too; with its Neorest Nx2 intelligent toilet, a CES 2019 Innovation Awards Honoree. Said to be inspired by “the beauty of pebbles shaped by water over time”, it boasts a personal cleansing system integrated into the device that uses warm water, an air dryer, heated seat, and in-bowl deodoriser. Of course, intelligent toilets aren’t the only product that contributes to a futuristic bathroom. Another addition to the Kohler collection is the Veil Lighted Bathroom Collection, a line of smart light-infused bathroom fixtures which includes an intelligent toilet, free-standing bath, lighted mirror and lighted three-piece vanity, as well as smart lighting accessories like a remote and motion sensor. Similarly, SimpleHuman’s S$400 (S$541) Google Assistant-equipped vanity mirror enables your mirror to inform you of the day’s weather forecast and play music while you’re getting ready for work. As with every AI-powered home trend, we predict the smart bathroom will only explode in popularity as more innovations are being launched each year.